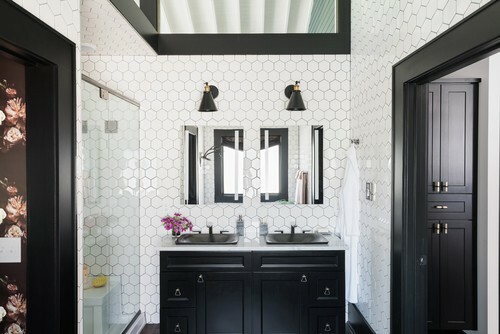 Be honest: When was the last time you set foot in your guest bathroom? We’re guessing it was probably the last time you hosted friends or family—and that might have been quite a while ago. It’s easy to overlook this space, especially if it doesn’t get much use. 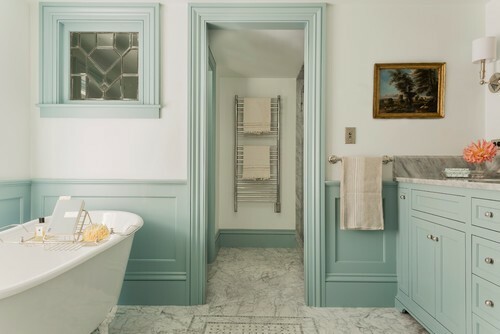 But to truly give your guests a warm welcome, your guest bathroom deserves to get some love, too. Plus, it’s a spot where you can experiment with your decor style with less risk. “It makes the room feel much larger and gives it a real timeless look,” Caldwell explains. Don’t your friends and family deserve to feel like staying in your home is a true getaway? Give them a spa ambiance that transports them far from their mundane lives. But you don’t need to go all in on the cucumber water and massage tables to achieve this look. Just start with the walls and paint them a tranquil shade of blue or hang a wallpaper print that’s soothing, suggests Alicia Weaver of Alicia Weaver Design, in Fort Lauderdale, FL. For an extra dose of serenity, set out fluffy “guest only” towels that evoke comfort and luxury. 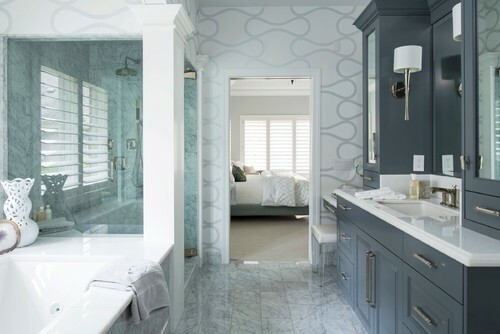 “Bathrooms that wow are stylishly accommodating to guests,” says Pam Faulkner of Faulkner House Interior Redesign, in Herndon, VA.
To help get you there, she suggests taking steps to make guests more cozy and warm. 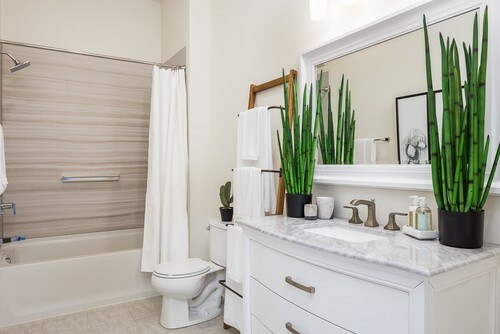 Think: heated bathroom floors, towel warmers, and thermostat-controlled showers that ensure the water is always just the right temperature. These small touches can go a long way toward making your guests feel like they’re at home—only better.